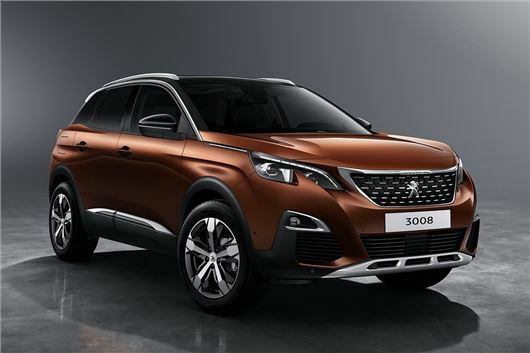 Peugeot has announced the all-new 3008, which is now more like an SUV than an MPV. The new model is expected to cost around £20,000 and will be available to order in November, with first deliveries in early 2017. The new 3008 is slightly larger than the outgoing car, but is better packaged in order to increase rear legroom and luggage space. It’s also lighter than the outgoing car by 100kg on average, in an effort to improve driving dynamics and reduce fuel consumption. From launch buyers will be able to choose from a 1.2-litre 130PS PureTech petrol, a 1.6-litre 165PS THP petrol, a 1.6-litre BlueHDI diesel with 120PS or a 2.0-litre BlueHDI producing either 150PS or 180PS. Official fuel economy figures are to be announced, but the 1.6 BlueHDI is likely to be the most frugal. There is no word on an all-wheel drive model, but the various front-wheel drive versions should be compatible with GripControl, which improves traction on poor surfaces. GripControl models also come on all-season tyres as standard. A hybrid model is due a few years on from launch and it may be all-wheel drive. All models will come with a digital instrument binnacle as standard, plus there is an infotainment screen with the latest Smartphone connectivity, enabling drivers to mirror their phone screen in the car via MirrorLink, Android Auto or Apple CarPlay. Wireless charging is available too, for compatible devices. The rear seats can be folded completely flat for stowing large items, while exceptionally long items like skis can be loaded by folding the front passenger seat forward. Optionally, the electric tailgate can be opened hands-free by waving a foot under the rear bumper. More details on the Peugeot 3008 will be announced at the 2016 Paris Motor Show, including UK pricing and specifications, ahead of sales starting in November. First customers will have their cars in January 2017.